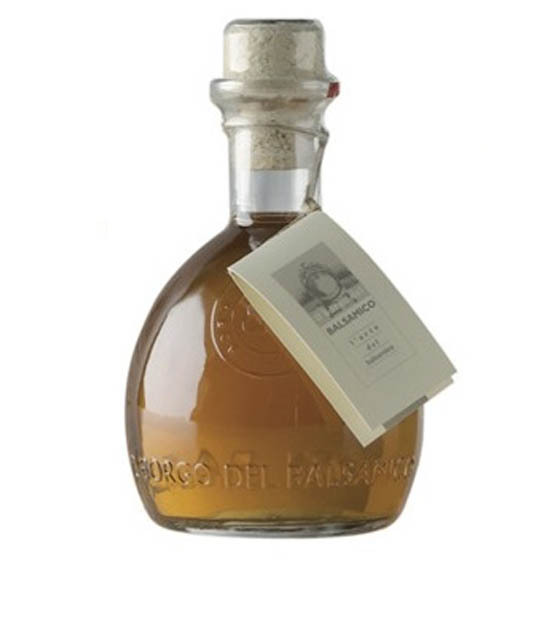 Secco del Borgo, the traditional peasant name for wine vinegar – to distinguish it from balsamic – is made from white Trebbiano grapes. Secco del Borgo is recommended on fresh salads and marinades. Try it together with our Borgo del Balsamico Condiment for a special, sour-sweet experience.